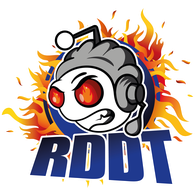 RDDT (main), our competitive tier 10 CW/Advance/SH clan. Clan activities every night (current focus on advances to prepare for CW). When a CW campaign comes about, you can be assured we will be highly active and that participating members will get reward tanks. We bring a nice balance between being sociable clan and competitive that allows us to compete with, and defeat, the best. RDDTF, our tier 8 CW/Advance/SH clan. 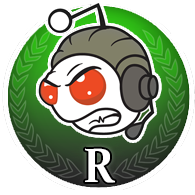 A friendly and socially minded community with a relaxed attitude, RDDTF brings a strong edge to tier 8 fronts and enjoys plenty of success. 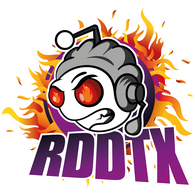 RDDTR, our clan for newer players to join or those that want to be in a clan without much pressure on having to join SH/CW activities. Despite being split into three, we view ourselves very much as one community, with players joining each other clans’ skirms and advances, and playing other games when a break from WoT is needed. Furthermore, we own a Slack account, so players can join to find out daily announcements for clan based activity, and chat with our other community members. - 1800 + Recent WN8. - We require every recruit to own at least 3 meta tanks. Either an Obj.140, a Obj.907 as well as WZ-111-5A or a Obj. 277. After that any other meta tanks will support your application (Type 5, Super Conc etc.). - You must have a good grasp of English as that is our primary language. - 18+ with reasonable maturity. - Willingness to regularly join in with clan activity and be a part of the community. - Tier 10: At least one meta tank (obj. 140, WZ-111 5A, Super Conqueror, Type 5 Heavy, 113, Obj. 277, V4 etc.). - Be active and friendly on Teamspeak with a working microphone. You must have a good grasp of English as that is our primary language. - Willingness to join in with clan activity and be a part of the community. Clanwars starting again on April 4th, come join.